October 31, 2012 - With only one day left before the registration deadline, more than 40 teams have registered for the Next Generation Wood Stove Design Challenge. “We are thrilled by the amount of interest we received and are pleased that the judges will have a diverse pool from which to select finalists,” said Melissa Bollman, Program Manager for the Design Challenge. 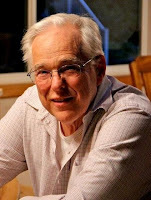 In January, the judges will convene at the Brookhaven National Laboratory to select up to 16 finalists to be tested and judged at the Wood Stove Decathlon in November 2013. Finalists will be announced on January 31, 2013. The 40 registered teams come from 14 countries, representing all continents except Antarctica. Most are based in the U.S., Canada, and Europe, but several are from less-developed countries like Mexico, Columbia, India and the Philippines. 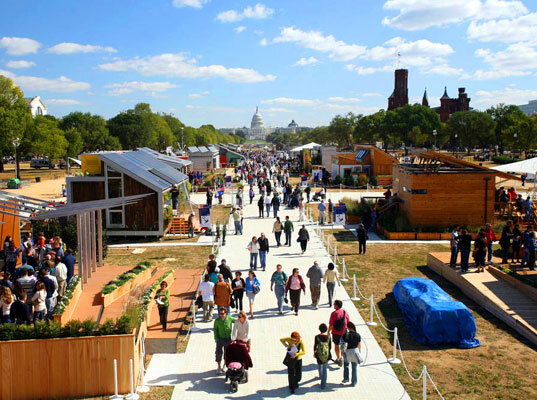 The five student teams include the University of Alaska Fairbanks, Purdue University and University of Maryland, winner of the 2011 Department of Energy Solar Decathlon. The Wood Stove Design Challenge pits well-known American stove brands with garage inventors and college students for the $25,000 prize and title of best next generation wood stove. Finalists will be tested next November by EPA accredited labs onsite at the National Mall in DC. A panel of recognized wood stove experts serving as judges will select the finalists, oversee testing and choose the winners. The competition is designed to be as inclusive as possible, giving all cordwood stove developers the chance to demonstrate why their particular technology is the cleanest and most efficient in the world. Although teams are not required to disclose technical details at this early stage, it appears that several will be using oxygen sensors to regulate combustion, 4 are masonry heaters, 2 are catalytic hybrids, 5 use high-tech European technology, and 8 are smaller, less high-tech designs for use in smaller homes or in the developing world. Earlier this month, the Alliance decided to remove one of its minimum eligibility criteria that barred stoves with less than 1.5 cubic foot fireboxes from entering. “We hoped that dropping the minimum firebox size would open the competition to more teams from colder regions of the developing world who need very affordable heaters,” explained Ackerly. The Global Alliance for Clean Cookstoves, a public-private partnership that focuses on the universal adoption of clean cookstoves and fuels, is a partner of the competition. Other partners include Popular Mechanics, the New York State Energy Research and Development Authority and the Washington State Department of Ecology. Sponsorship opportunities are available to help underwrite the competition, contact Melissa Bollman (melissa@forgreenheat.org) to learn more. Alliance for Green Heat, October 29, 2012 - Efficiency standards being proposed by Minimum Energy Performance Standards (MEPS) are requirements placing limits on the energy consumption of appliances and equipment, and they have become benchmark standards for a range of appliances and devices, including office equipment, heat pumps, and air conditioning equipment. MEPS have stimulated the economy by saving consumers and businesses billions of dollars in utility costs, money they can now spend in other areas. The Department of Energy estimates that efficiency standards have saved an average of $15 billion a year, a figure expected to double by 2025. And federal investments in these standards are paying off: every federal dollar has net an average of $650 in energy savings. Efficiency standards for wood and pellet stoves and boilers are a good investment. A large portion of the savings in the residential sector come from efficient space-heating equipment, as space heating accounts for 30% of US energy bills and is often the greatest expense for low-income families. Efficiency standards for gas furnaces are estimated to save 46 trillion BTUs of natural gas annually by 2020 and 108 trillion BTUs annually in 2010, enough to heat more than 2 million homes for a year. Similar regulations for wood stoves would reduce our nation’s wood and pellet consumption and give homeowners extra capital to put back into the economy. Standards in the wood and pellet industry are direly needed. Currently wood and pellet stove efficiencies range from the mid-80s to as low as the 30s for new stoves, based on high heating values (HHV). 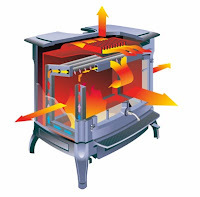 Pellet stoves, which are widely believed to be more efficient than wood stoves, are often less efficient because of excess air to keep the glass clean. Low-efficiency stoves consume excessive amounts of wood, increasing the running cost and wasting natural resources. Stoves that are low efficiency due to incomplete combustion also release higher amounts of noxious gases and particulates, pollutants that pose health risks to households and their surrounding communities. Some opponents of efficiency standards make the case that mandatory standards are unnecessary and if left unregulated, consumer demand for more efficient products will naturally drive manufacturing of increasingly more efficient technology. However the lack of standards may actually limit the ability of demand to drive advancement in the industry for all price points. Without MEPS, high-efficiency is often treated as a “special feature” by manufacturers, coupled with deluxe options on high-end stoves; these more expensive models may not be regularly in-stock and available to most consumers or in their price range. 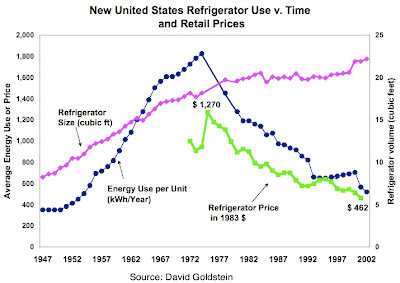 As suggested by one study, in an imperfect market manufacturers prefer this sequestration of high-efficiency products because it maximizes profits: they can charge high-income consumers more for appliances with this “special feature,” giving them as much efficiency as they are willing to pay for, while offering low-income consumers less efficiency than what they pay for. Furthermore, as customers take a number of features into account when purchasing an appliance (e.g. color, size, sticker price, and manufacturer) and because of the lack of variety in available and affordable high-efficiency models, many consumers are resigned to settle for mediocre models that will cost them much more in the long run. It also should be considered that in many wood-heated households the residents have little choice in the stove installed in their homes. According to a 2009 survey by the U.S. Energy Information Administration (EIA), 1.7 million rented households in the U.S., a good number falling in the low-moderate income bracket, heat primarily with wood. Landlords are more likely to have low-efficiency equipment that is cheap upfront but saddles tenants with expensive energy bills each month. There is concern that mandatory standards will significantly increase the purchase price of stoves, making them out of reach of the low-income communities that rely on them the most. However, this has not been proven. 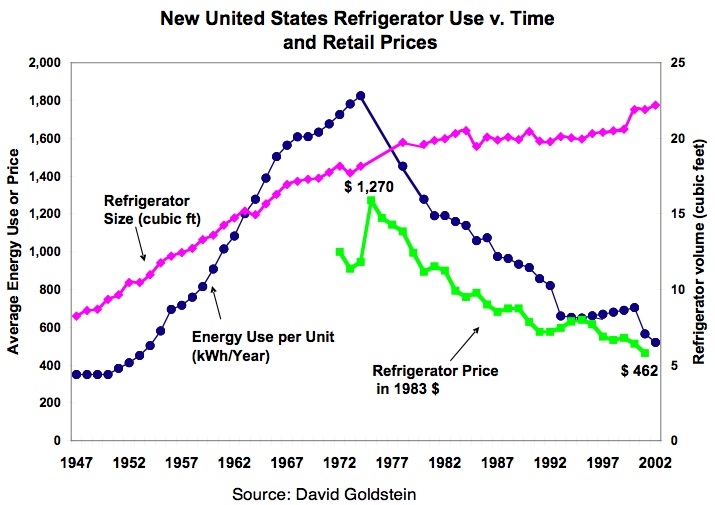 DOE efficiency standards for both refrigerators and central air conditioners did not lead to any significant price increase, as some had feared. the EPA have the potential to save consumers millions in fuel costs and help bring biomass stoves and boilers into the mainstream of heating equipment in the U.S. All major consumer appliances have or will soon have minimum efficiency standards, particularly in the HVAC sector. Success of minimum efficiency standards for other appliances provides compelling evidence that efficiency standards can help drive technology forward, leading to benefits for health, industry, consumer finances, and the environment. MEPS are gaining traction in developing countries that have larger low-income populations that can benefit from lower fuel costs. In Latin American, mandatory MEPS now exist Mexico, Brazil and Uruguay on a product-by-product basis. The growth of MEPS is expected to continue as more and more countries work to reduce energy use and reduce reliance on fossil fuels, and as MEPS become more widely recognized as a very cost effective measure. Fisher, Carolyn. “Who Pays for Energy Efficiency Standards?” Resources for the Future Discussion Paper 4-11. Feb. 2004.
heat stays in the room vs. goes up the chimney. The EPA has started listing actual efficiencies on their list of certified stoves. Until 2015, the agency had only used default efficiency numbers for wood and pellet stoves, with 63% for non-catalytic stoves, 72% for catalytic stoves and 78% for pellet stoves. See a review of efficiencies of various brands of stoves. The change allows manufacturers to submit actual efficiency numbers using the B415 test method and give consumers confidence about the efficiency of a stove. It has already spurred some competition among stove manufacturers, particularly the companies that make catalytic stoves and probably have the highest efficiency numbers in the market. Verified efficiencies are up to 86%. “If you want an assurance that you are buying a high efficiency stove, the best way is to buy from a company that publishes efficiencies using B415 and submits their numbers to the EPA,” said John Ackerly, President of Alliance for Green Heat. Currently, manufacturers are required to test for and post efficiency numbers for stoves certified after May 2015. But a large majority of stoves were certified and tested before then, and are not required to disclose their efficiency numbers. They can do so voluntarily, as Jotul, Blaze King, Kuma and others have. New, EPA certified non-catalytic stoves are almost all within the 55 - 75% efficiency range, with most in the high 60s and low 70s. Catalytic stoves will likely be between 75% - 82%. “A 20% difference in fuel efficiency can add up to a lot of savings for consumers, whether you buy your firewood or cut it yourself,” said Ackerly. With pellet stoves, the efficiency range is even greater and consumers stand to gain or lose a full 30% or even 40% in fuel efficiency depending on what model they buy. At least one pellet stove on the market gets only 33% efficiency and another 49%, but most are in the 60s and 70s, and some will be in the 80s. Industry leaders have conceded that most pellet stoves are not 70% efficient despite the EPA estimated default of 78% efficiency. Consumers buying new pellet stoves have little access to reliable efficiency information and could easily come home with a stove that is between 55 - 65% efficient. Most pellet stove manufacturers either do not supply efficiency data or supply exaggerated data that that makes their stoves appear far more efficient than they actually are. The United States uses the higher heating value (HHV) for efficiency numbers for all appliances, whereas Europeans use the lower heating value (LHV). This makes it appear that European stoves and boilers are more efficient as a stove that is 75% HHV efficient would likely be around 83% LHV efficient. Many stove manufacturers use this discrepancy to their advantage by reporting efficiency using the LHV method, but do not disclose the method to the consumer. This phenomenon arose partially because the IRS approved the use of LHV numbers to qualify stoves for the federal tax credit that expired in the end of 2011. To add to the confusion, the IRS did not say how efficiency should be measured, allowing industry to use many different methods. As a result, virtually every stove in America was deemed to be at least 75% LHV efficient by the manufacturers who made them. Most manufacturers continue to use LHV numbers and whichever efficiency calculation provides them with the highest number. The decision by the EPA to start posting actual efficiencies on their list of certified wood stoves is a step forward to help consumers identify real efficiency numbers. October 10, 2012 - The U.S. government released its annual assessment of prices and availability of heating fuels today and for the first time it included information on pellets and firewood. After gas and electricity, wood is the third most common heating fuel in America, but the annual Winter Fuels Outlook had never discussed it prior to the 2012-13 heating season. The Winter Fuels Outlook is put out by the U.S. Energy Information Administration (EIA), an independent statistical and analytical agency within the Department of Energy. Reports published by the agency are the premier source of energy information in the country and are used to guide economic policy and educate the public. During today’s press conference, EIA Administrator Adam Sieminski mentioned the “significant opportunity” for consumers to supplement their oil heat with wood pellets, as well as with electricity. The inclusion of wood and pellets in the Winter Fuels Outlook came after over a year of discussions and meetings between the EIA and a coalition of wood and pellet groups. Senator Shaheen (D-NH) also raised the importance of pellets as an alternative to oil in New England with Administrator Sieminski. According to the EIA, wood and pellets now produce more residential heat in the US than propane and nearly as much as oil. Wood produces 0.5 quadrillion Btu (quads) per year, propane 0.49 quads and oil 0.6. EIA projects that average household expenditures for heating oil and natural gas will increase by 19 percent and 15 percent respectively over last heating season. The agency expects the country will experience colder temperatures compared to last year's mild winter, with oil and gas prices remaining virtually the same. Wood consumption in homes has risen over the past 10 years, reversing a trend seen in the last two decades of the 20th century. 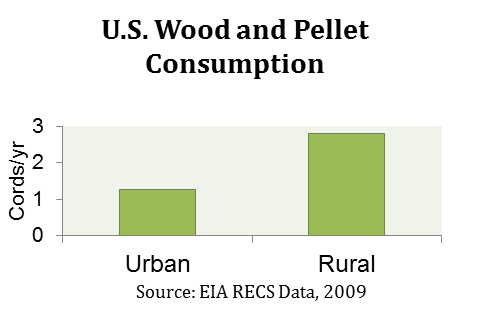 In 2009, U.S. households consumed about 0.5 quadrillion Btu (quads) of wood. Household fuel oil consumption, by comparison, was only slightly higher at 0.6 quads. In homes across the United States, wood is most commonly used as a secondary source of heat and is second only to electricity as a supplemental heating fuel. Twenty percent of New England homes (1.1 million) used wood for space heating, water heating, or cooking in 2009 (EIA, Residential Energy Consumption Survey, 2009). This is nearly twice the national rate. Almost half of all rural households used wood in this area of the country. In contrast, only 12 percent of urban New England households used the fuel. According to data previously published by the EIA, the average American household heating with wood consumes two cords of wood per year. This number includes homes that use wood or pellets as a primary, secondary or occasional heat source. The EIA also documents that consumption in rural areas is more than twice that of urban areas. The EIA estimates that 91% of homes that heat with wood use firewood, 8% use wood scrap and 6% use pellets. Wood use also trends strongly with income level, according to EIA survey data, with households making $20,000 or less using more than twice the amount of wood as households making $120,000 or more. “The EIA’s focus on wood and pellets is an important and timely step in the right direction,” said John Ackerly, President of the Alliance for Green Heat, a non-profit consumer organization based in the DC area. “If EIA can report on pellet prices along with oil and propane, consumers will be better equipped to make the best choices for them, which may be to use a local, renewable fuel,” Ackerly added. 2011 Census Shows Wood Heat Continues to Rise in U.S. The number of American households using wood as a primary source of heat increased 1.72% this year, continuing a decade long growth spurt for the renewable heating fuel, according to the U.S. Census 2011 American Community Survey (ACS). The survey estimates that 2.11% of U.S. homes use wood-derived fuel as their primary heating source, compared to 2.08% in 2010. The US Census does annual surveys based on sample populations which are then extrapolated to estimate trends in the entire country. The margin of error is higher during these annual surveys than during the decennial surveys where the Census tries to contact all households. The slower rate of rise in wood heat in 2010 may not be connected to the warm winter of 2011-2012 as that winter occurred mostly in 2012. The ACS does not track secondary heat use, but it is likely that more Americans are using wood to supplement their main fuel as well. According to the 2009 EIA Renewable Energy Consumption Survey, 7.7% of American homes used wood as a supplemental source of heat and wood was the second most common secondary home heating fuel behind electricity. When more homes use wood or pellets as primary heat, the number of homes using it as a secondary heat source grows as well, as far as we know. During the past decade, several states in the northeast as well as Michigan, Ohio and Nevada saw the number of homes mainly heating with wood or pellets increase by more than 90%. But of these eight states, only Massachusetts and Maine continued the upward trend in 2011. Instead, Hawaii (52.5%), Florida (30.5%), Delaware (23.2%), Wyoming (21.6%), and Idaho (19.8%) had the greatest gains. The top five states for wood heating as a percentage of households are Vermont (16%), Maine (12.2%), Montana (8.8%), Idaho (8.3%) and New Hampshire (7.3%). The states with the greatest total number of households heating with wood are California, New York, Pennsylvania, Michigan and Washington. In 2000, only 1.68% of U.S. households heated mainly with wood or pellets, but between 2000 and 2010, wood experienced the greatest growth of any fuel with the number of primary wood heat households increasing an average of 4.5% per year since 2005. Rising fuel prices and a federal tax credit offered during the latter years of the decade may account for wood heat’s dramatic upswing. The economic downtown may have also contributed to more people making the switch from oil or propane to wood or pellets, two of the most inexpensive fuels available in America. While the residential use of wood rises, the use of natural gas, the most common primary heating fuel in America, has been declining since 2006. Once the main source of heat for over 50% of U.S. homes, it fell nearly one percent last year and is now at 49%. Other less common fossil fuels such as propane, oil and coal also experienced declines this past year, continuing a multi-year trend. Other than wood, household fuels that grew during the year were electricity with a 2.5% increase over 2010, and solar thermal with an 18% increase, the highest of any heating fuel. While overall solar residential numbers are still tiny and there has been in overall decrease in solar heated homes since 2000, the renewable has shown the highest growth rate of any heating fuel since 2007. More than half of the approximately 50,000 U.S. homes heated primarily by solar are concentrated in California, Puerto Rico, and Hawaii. A pioneer in wood stove testing and a man of great integrity and intellect. Paul Tiegs was president at OMNI-Test Laboratories in Portland, Oregon. Last month we reported on the EPA's fining of stove manufacturers for recordkeeping violations. The EPA did not release the dates of the fines and our story did not mean to imply that these fines have just occurred. HPBA provided this rejoinder: "In over 20 years, the only violations of EPA's program have been recordkeeping issues, which have no impact on wood stove emissions. Wood stove manufacturers continue to deliver great products that heat and burn much cleaner than the millions of old, uncertified stoves that are still in people's homes." - Rich Ali, HPBA's director of Government Affairs. “Hello, iStove”: How much can lambda sensor technology improve burning efficiency? The introduction of innovative emissions control technology revolutionized the automobile industry, making cars safer, greener, and more efficient. Now, some boiler manufacturers are saying goodbye to the clunky, soot-filled burners of the past, and are integrating the same lambda sensor devices used in automobile engines into new state-of-the-art clean-burning wood boiler. Economical and carbon-neutral, these eco-friendly lambda heaters could help make wood-burning cool again. Goodbye low efficiency – Hello, iStove. A lambda sensor is a small electronic device that measures how much oxygen is in a gas or liquid. Lambda sensors have been used in a variety of applications since their development in the 1960s – from monitoring breathing in scuba diving to measuring soil oxygen content – but they are most well-known for their use in car emissions control technology. Lambda sensors help cars optimize the fuel combustion process, allowing engines to work as efficiently as possible with the least emissions. In lambda wood heaters, the sensors are used in a similar way to reduce fuel waste and minimize emissions during burning. How does lambda sensor control work? Lambda sensors are key components in the feedback control systems that regulate combustion. Like car engines, wood stoves burn fuel (biomass) in the presence of oxygen. The ratio of air to biomass fuel (“air-to-fuel ratio”) in the stove’s combustion chamber determines how efficient the burning will be. If there is too much air in the chamber, burning will produce high levels of noxious nitrous oxide pollutants. If there is too little air, combustion will be incomplete and the stove will release wasted fuel in the form of hydrocarbon particulates and harmful carbon monoxide gas. Feedback control fine-tunes the combustion process by varying the air-to-fuel ratio in the chamber so that burning is optimized. A lambda sensor measures the oxygen concentration of the exhaust stream leaving the stove (a measure of how much excess air is in the combustion chamber) and sends the information to a controller or micro-processor, usually as a voltage signal. The controller calculates the current air-to-fuel ratio and varies the amount of air fed into the chamber based on the real-time data from the sensor. These two components working together keep the stove running continuously at near-optimum efficiency, regardless of the species and moisture content of the fuel wood or the boiler temperature. Lambda boilers have been on the market since the 1980s, but in recent years more companies are focusing on the residential market and have released newer models featuring upgraded technology and a cleaner aesthetic, including British manufacturers Pevex and Attack, Swedish manufacturer Effecta, and Austria’s Fröling (Effecta and Fröling also distribute to the US). These boilers all boast improved designs and smokeless operation, with running efficiencies often over 90% LHV (normal wood stoves have efficiencies ranging from 60-90%). If lambda control is turned off or is defective, the boilers operate as conventional boilers without the increased efficiency. Prices for the boilers can average about 20% more than non-lambda boilers, typically ranging from $8,000 to $14,000, but often more, depending on model, market and desired energy output. To our knowledge, no wood stove is yet using a Lambda sensor, but it is likely just a matter of time until we see these higher efficiency stoves on the market.